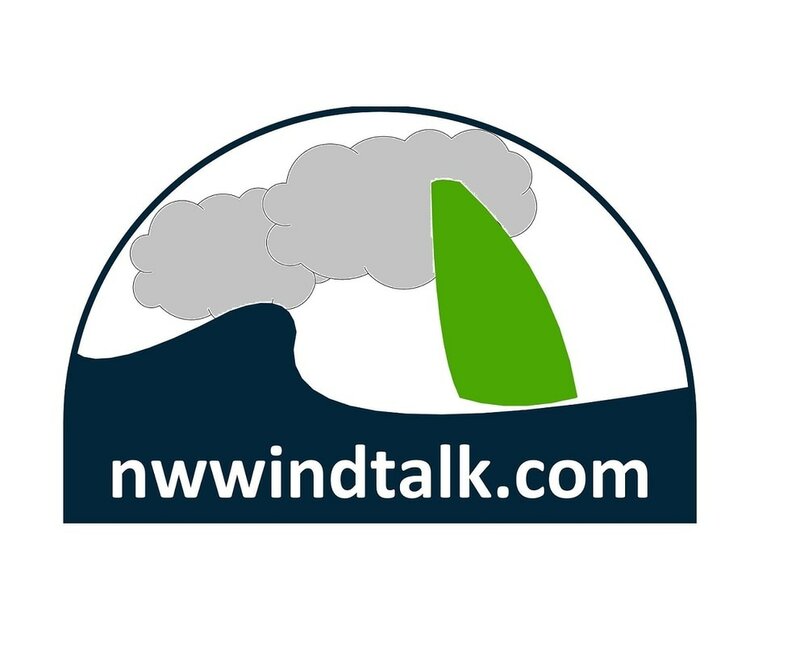 NW Windtalk (NWWT) is a windsurfing community, which was founded as a Yahoo Group on July 27, 2000. 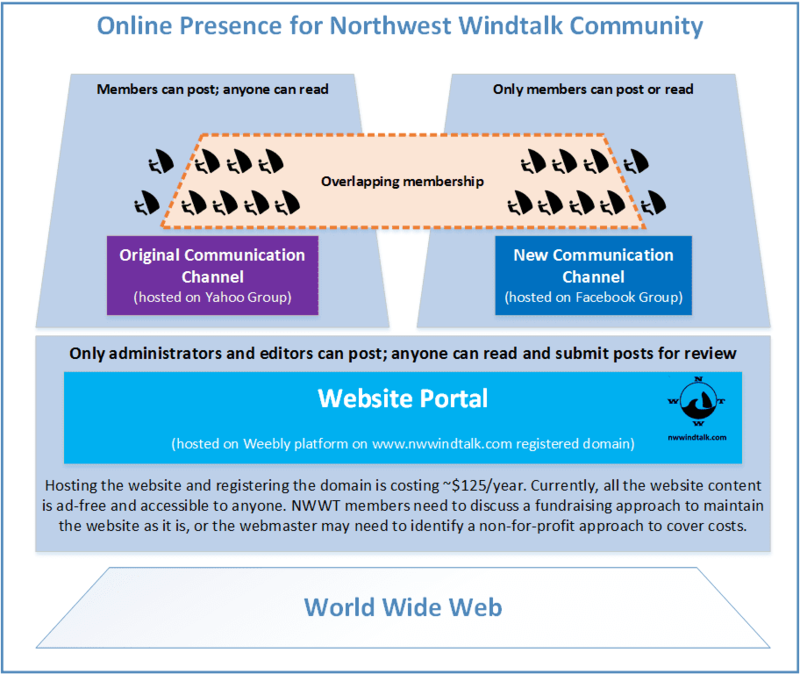 Over the years, the NWWT Yahoo group has grown to 850+ members at https://groups.yahoo.com/neo/groups/NW-WINDTALK/info. ​Membership to this group has been geographically limited to windsurfers who sail in Washington, Oregon, or British Columbia to keep topic drift at a minimum. Still, most of the active NWWT members are windsurfers living in Western Washington. Since November 2016, the group is also present on Facebook at https://www.facebook.com/groups/NWWindtalk/. Promote windsurfing in Western Washington: giving visibility to the sport by creating and maintaining a website and holding meetups and events in visible locations. Support new windsurfers: incorporating on the website FAQs based on the 17 years of NWWT conversations, providing quick answers to perspective windsurfers, providing a free venue to advertise windsurfing classes, local clinics, and gear demos. Facilitate activities by existing windsurfers: advertising group sailing meetups, facilitating buddy pairing for safe sessions, providing a free venue to advertise windsurfing trips, clinics, demos, and manufacturer events. Contributions to this website are geographically limited to members of the NWWT Yahoo or Facebook groups. Before you are allowed to join this group you may be asked to fill out a short questionnaire. This questionnaire is a mechanism to prevent spamming of the group by automated programs and to be sure that you actually windsurf in the Pacific Northwest. If you are a registered member with the Yahoo Group, the group membership administrator will grant you access to this group automatically. Otherwise, you may be asked to fill out a short questionnaire before being allowed to join this group. Again, this questionnaire is a mechanism to prevent spamming of the group by automated programs and to be sure that you actually windsurf in the Pacific Northwest. Email webmaster with your ideas for website content. These proposals will be discussed on the discussion forums.